We connect local people with their communities using smart technology and new platforms. Our Social Platforms business unit specialises in aggregation and delivery of event listings. We develop new ways in which social and leisure businesses can manage and increase their online presence while continuing to embrace and support existing online and mainstream media platforms. We operate both business support services within the hospitality and leisure industries and consumer focused brands linked to social town hubs connecting our supported businesses with their customers. Each social town hub is its own unique brand, tailored to and targeted at its associated town. In situations where it is difficult to summarise a town, business or organisation in a handy sound bite for promotional purposes, we must utilise the latest technology to allow the wider community to experience their town’s activities in the virtual form. 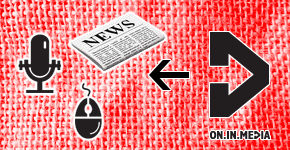 ON.IN.MEDIA has been formed with the clear goal to provide this experience. We have structured the business so that the success of the businesses and communities we support also benefits and contributes to the continuing development of our business. It is in our best interest to be successful in our aims. A side effect of this venture is that we are required to work with local creative talent. To encourage this, we modularise all work so it can be issued easily to freelancers, students and graduates. This provides upcoming talent a platform to shine from. Introducing the future of the Web. 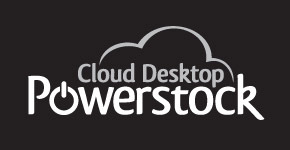 Powerstock Cloud Desktop is our core delivery platform which is based on hosted web software. Using a Windowed interface it provides a single umbrella to promote our partners from and increases opportunities for cross promotion of venues and events. Join the explosion of the mobile App. With predictions that mobile web use will soon leapfrog desktop use, it’s important to offer the your mobile users an outlet to your web content. Learn how the Powerstock Cloud Desktop transforms web apps into mobile friendly versions automatically. ON.IN.MEDIA is only the face to our business partners. The consumer facing side of our business, which is often also our partner’s customers, are separate brands tailored to the towns we operate in. With a goal of being local, we have found success in tapping into the local language of a area or town which often creates a smile from the public and therefore an instant emotional bond with our brands. Bridders, Dorch and Weybiza are examples where we have used a town’s nickname within our brand. Outside of the immediate area of the towns of Bridport and Weymouth these names mean nothing, however within, the nicknames release an emotional bond that our brands have captured. 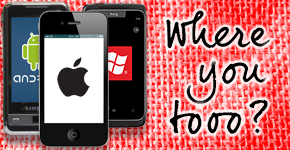 We have also used this trick for our location based ‘Where You Tooo’ mobile application, a saying that is familiar with people in the West Country of England and translates to ‘Where are you’. The use of local sayings or words demonstrates to our consumers and partners that we truly are focusing on local and that we will tailor our business to the different local markets. We manage web applications for our partners under one umbrella platform using Powerstock Cloud Desktop. Our partners venue website aren’t their primary focus so can easily become under valued and under developed. We understand how to monetise viewership of web content that can be used to fund the continuing development of a venue’s web presence. Individually the effort required to monetise a single venue website would outweigh the revenue generated, however bringing venues together under an single umbrella platform would share the effort and encourage increased viewership and cross promotion between venues. Powerstock Cloud Desktop is based on a windowed web interface allowing a user to drag and layout different windows of web content around their web browser. This content can be generated by one or many venues, really creating the experience of a desktop on the web. In order for our business to tick we must have access to the latest event listings, so we also aggregate them, however in their rawest form these event listings can not be monetised as they are already free. We therefore allow our partners to publish our event listings on their own publication platforms whether it’s on their website, in their newspaper or during their radio broadcast. We provide tools that automate this process and we encourage suggestions to improve this service. 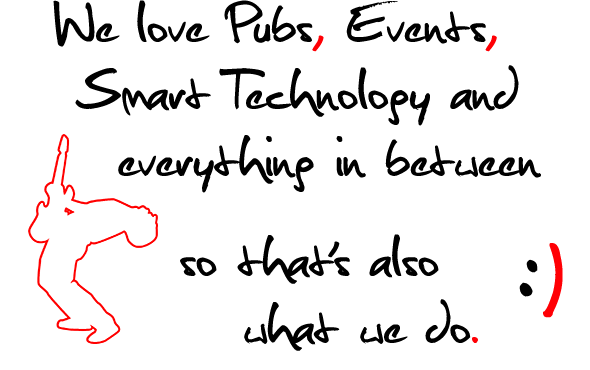 Publication of our event listings are free! It is in the interest to all our partners to allow us to manage their event listings for them becasue they can not only be published to their website but also to many other publication platforms including digital event screens, mobile devices and mainstream media. While we would always encourage our partners to allow us to host their website on Powerstock Cloud Desktop, we understand of situations where this is not ideal. To accommodate for these situations we provide tools that allow our event listings to be syndicated seamlessly onto an existing venue website in the same style and format. Larger venues may be reluctant to allow us to host their venue website on the Powerstock Cloud Desktop if they have already invested in their web presence and have members of staff who manage it. In this situation we will still be aggregating their event listings using Social Spy so to reduce the risk of inaccurate listings we offer tools that integrate with popular content management systems such as WordPress, Joomla and Drupal. These tools that will update our event listings automatically as they get added, edited or deleted from these content management systems. With 5 out of 6 phones connected to the Internet, it’s important to offer your customers an mobile outlet to your business. The architecture of our core delivery platform allows us to optimise existing web applications operating on Powerstock to be displayed using responsive web design on popular smartphones such as iPhone, Android and Windows Phone. This gives our partners the ability to focus on their core promotional message and allows the underlying technology to handle the presentation without the need for continual design alterations. Existing web applications are scaled down to be optimised for smartphone displays. 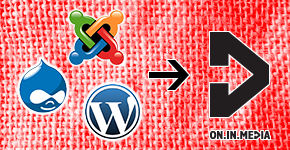 Updates and design refreshes are syndicated between web and mobile apps. Benefit from the wealth of supporting web apps provided such as the 3D Venue Tour. Powerstock revenue stream fund continual development of the mobile apps. As well as operating mobile apps on behalf of our partners we also operate our own native apps on selective mobile platforms. The location based ‘Where You Tooo?’ app is one such example and continues to utilise our partner’s content however is styled as a unrelated brand. Bar Concepts is our business unit that focuses on creating smart technology to improve and support the oldest social platforms of them all; Pubs, Bars, Clubs and Restaurants. Promotion starts within your venue. 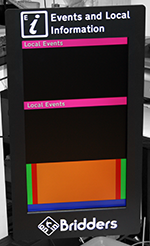 Our network of digital event screens target prime high footfall locations such as Cinema Foyers, Hotel Receptions, Restaurant Toilets and Pub Entrances. Their location means our partners can reach and target customers in the same social environment as the promoted local event. The screens can be owned outright or opportunities exist to fund the operation of them by creating relationships with our advertising partners to utilise national, regional and local advertisers. ON.IN.MEDIA was founded in 2008 by Mark Diment and David Graham following their realisation that small to medium sized towns face difficulty in promoting themselves due to location-specific factors and their culturally unique backgrounds. This often results in unfocused promotional messages to the local community, including neighbouring towns, via local media. Promotion that has proven successful in these towns is generally focused at certain ‘social bubbles’ or micro-locations, thereby failing to integrate the town as a whole. Today David continues to be a Software Product Manager within the business while Mark has stepped down from a day to day role and now heads up sitemarkd. Wes Dowell is a Freelance Graphic Designer and heads up Coastline. Adam Tavener is a Graphic Designer and has worked within our corporate affairs. Luke Kidney is a Interactive Developer and has worked developing our Digital Event Screens. Tamsin Chandler has supported proofreading our copy. It is important to us that we actively engage in the communities we operate in. By participating and supporting community activities we learn how to improve the products and services we provide to the businesses that are made up of that community. It clearly is a cycle we must be part of for the benefit of our own business and the community we serve. We try to represent ourselves on local business chambers and community supporting organisations. We work to promote community events organised by fundraising organisations such as the Round Table. Event promotion and alcohol consumption can have a bad name so we adhere to a strict ethics policy regarding how we promote events and who we partner with, and we are a registered partner of drinkaware.co.uk promoting safe and responsible drinking. 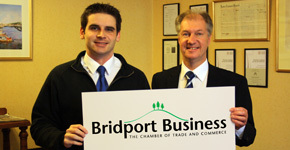 We have representation on the Bridport Chamber of Trade and Commerce committee and have been instrumental in updating the Chamber’s image, website and name to ‘Bridport Business’. Whether you just feel like saying hello, or want to talk business, we’re always happy to hear from you.